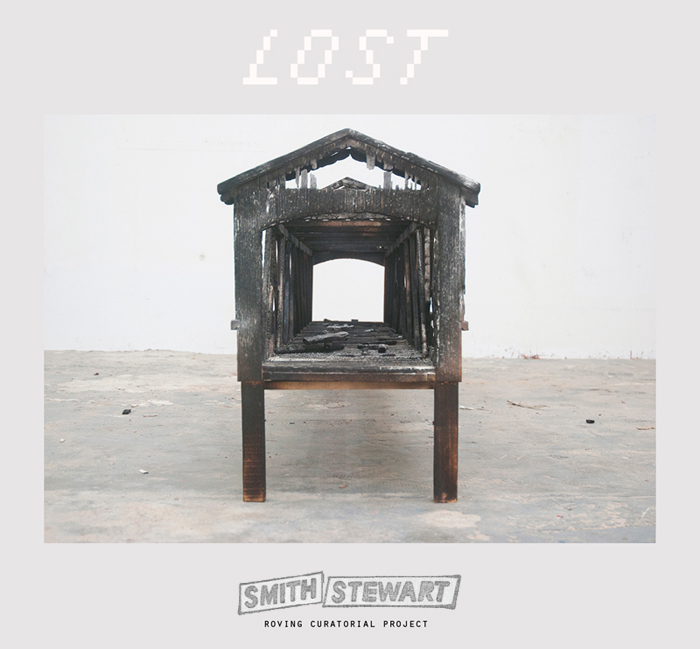 INVISIBLE-EXPORTS is pleased to present SMITH-STEWART’s sixth roving gallery show, LOST, a group exhibition featuring work by five artists, Leah Beeferman, Yeon Jin Kim, Michelle Lopez, Yamini Nayar and Marianne Vitale. The artists in LOST explore our obsessions with the end of the world. Some works in the exhibition depict a planet devoid of human presence —a place of ghost towns, denuded landscapes and deserted artifacts. While others show us the death of culture and new beginnings in outer space. In the artists’ imaginings, real life has outrun fiction. Such doomsday predictions like the rapture prophet Harold Camping and the approaching 2012 Mayan apocalypse have only grown in recent times. News daily of oil spills, radiation leaks, natural disasters, global warming and real and virtual warfare fuel such destructive fixations. Works in the show will span photography, sculpture and animation and will take us way beyond our uncertain present, showing us what we’ve left, and where we might be going. SMITH-STEWART is nomadic gallery with no permanent address. For more details on upcoming shows and projects, visit the website: www.smith-stewart.com.